Tags: new content, mini quest, osmans. Are you as into plays as our limited time visitor? Yes, no, maybe? However you feel about the action on the stage, the play fanatic needs your bush whacking expertise to put on their awards ceremony! Lend them a hand in this all-new limited time quest! 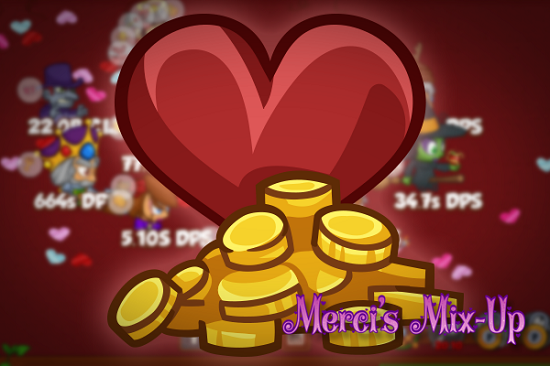 You have until Monday February 27th at Noon PST to collect the items required and earn your nifty reward! Share your love of plays (or movies) in the forums! Legendary Crafting is coming soon! It's so close we can taste it! Can you feel the hype?! 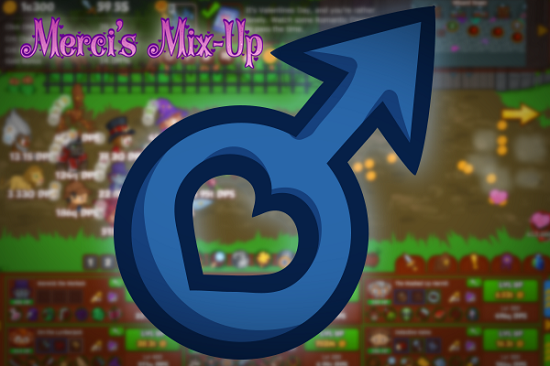 We're buffing some of your Crusaders because WE'RE SO PUMPED! Hype! The following Crusaders will get a buff this weekend starting from today until 12 pm PST on Monday February 27th. Tags: crusdaers, crafting, new content, legendary. 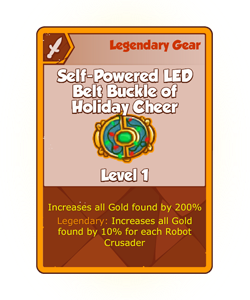 Legendary Gear is coming to Crusaders of the Lost Idols... but how do you get it and what does it do? Keep reading to find out. Legendary Gear is the ultimate equipment. 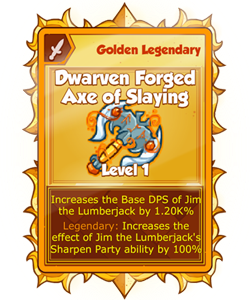 In addition to a massively enhanced base bonus, twice as big as the epic equivalent, each piece of Legendary Gear comes with a whole new unique Legendary Effect that could completely switch up your formation. What's more, that effect can be leveled up indefinitely as long as you've got the crafting material to do so. There are a couple of things you'll need before you can get a piece of Legendary Gear. The first is the Epic version of the item you want. Crafting will make it easier to get specific Epics, but in general Jeweled Chests are your primary source for Epic items. The second thing you'll need is a Legendary Catalyst. Legendary Catalysts are new random drops from Jeweled Chests. They can also be obtained via rare Missions. They are consumed when you craft Legendary items. The number of Legendary Catalysts you need depend on how much Legendary Gear you're crafting at once. The first piece of gear will only take one Legendary Catalyst, but each piece of gear after that will take 66% more Catalysts, rounded to the nearest whole number. Every week after your first Legendary craft, the number of Catalysts required will decrease by 80%, to a minimum of one. Basically this is a long-winded way of saying if you want to craft more than one Legendary Item per week, it's going to cost you extra Catalysts. But that's it! If you've got the Epic item you want to upgrade and the required number of Catalysts, you can simply click a button to upgrade your piece of Epic gear to a piece of Legendary gear, increasing its bonus and gaining access to its Legendary Effect. The power spike doesn't stop there. Once you have a piece of Legendary Gear you can upgrade its Legendary Effect by spending Crafting Material. You can choose to use Common, Uncommon, Rare, or Epic material, based on whatever you have lying around. The amount of material it takes increases with each level. It's worth it, however, as the Legendary Effect doubles with each Legendary Level. For those of you with Golden Epics, don't dismay. You won't lose the Golden benefit when you upgrade to Legendary tier. All Golden Epics can be turned into Golden Legendaries for the same cost as upgrading a normal Epic to a Legendary. In addition, if you don't have a Golden Epic and craft a Legendary in its slot, a future flash sale may offer you the Golden Legendary directly. We anticipate Crafting and Legendary Gear being released sometime in the next month or so, but as always we want to note that things could change unexpectedly, even the design itself. We'll keep you updated as we get closer to the launch! Tags: weekend, buff, heart's, thaw. Even enemies with the most frozen hearts are warmed by all the lovely love floating around. Regardless, here are some buffs to help you kill them. The following Crusaders will get a buff this weekend starting from today until 12 pm PST on Monday February 20th. Generation 7 Pets Now Available! Tags: new content, pets, bw2, eggs, gen7. Those weirdly random abandoned eggs scattered all over Bushwachkia have been switched up and all new pets are ready to hatch when you accept the "Find an Egg" quest from Misty. She will also have all the Generation 7 eggs available to purchase for Bush Bucks during the "Find an Egg" quest. Misty will no longer let players abandon Gen 6 pet eggs that they are hatching (they're now too rare). Only current generation pet eggs can be abandoned during hatching. Please note that if you're in the middle of hatching a pet, then that egg will still hatch into whatever pet it would have been before. Generation 6 pet eggs can now be found in Quester's Satchels (with the same limitations as the Generation 1, 2, 3, 4 and 5 eggs, which will still be available in satchels as well.) Generation 6 pet eggs are now more expensive to buy with DNA in the PAGAS store. Hank now sells a random assortment of hatched level 1 Generation 7 pets (instead of Generation 6) for Bush Bucks in his pet store. Generation 7 pet eggs are available to buy with DNA in the PAGAS store, once you have hatched at least five (5) Generation 7 pets. The Pet Progress dialog now includes Generation 7 pets. Another 10 new pets that all players can unlock! Tags: crusaders, crafting, new content. Crafting is coming to Crusaders of the Lost Idols... but what exactly is it? Keep reading to find out. Crafting will be a way to get specific gear for your Crusaders without having to get lucky while opening a chest. With the proper recipe and materials, you will be able to craft even the most epic gear. It's easier said than done, though, as gathering the materials and unlocking the recipe for the piece of gear you want isn't a walk in the park. Crafting material is obtained by disenchanting duplicate gear. 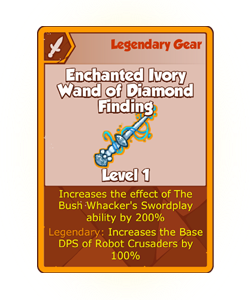 Currently, disenchanted gear turns into Enchantment Points for your Crusaders, which passively increase their DPS. After the Crafting update, you will no longer get EP for duplicate gear. Instead, you'll gain a random amount of crafting material based on the rarity of the disenchanted item. So how do you get EP for your Crusaders? Missions! Missions that award EP will be buffed considerably in terms of award and frequency so that you can still boost the EP of your favorite Crusaders to the same degree -- possibly even more so. Crafting material drops will not be retroactive, so regardless of how much duplicate equipment you've found in the past, you'll keep the EP you earned from it and will still start your crafting stockpile from scratch just like everybody else. All players will start with the recipes for the Common and Uncommon gear for the initial 20 Crusaders. Crafting gear outside of that limited set will require you unlock additional recipes. How do you do that? Missions! New missions will appear en-masse to help you learn new recipes. Each successful mission will unlock one or more rare or epic recipes. Event crusader recipe missions will unlock all the common and uncommon recipes for specific crusaders once that crusader is unlocked, giving players a way to deck out their newly recruited event crusaders in basic gear, even outside of the event itself. As with crafting material, recipes will not be awarded retroactively. Everyone will start on even footing when it comes to finding the rarest of recipes. Crafting epic gear is certainly fine, but for those of you already drowning in purple gear, there will be something in this update for you as well. Tune in next week for more information about how players will obtain and upgrade Legendary Gear! 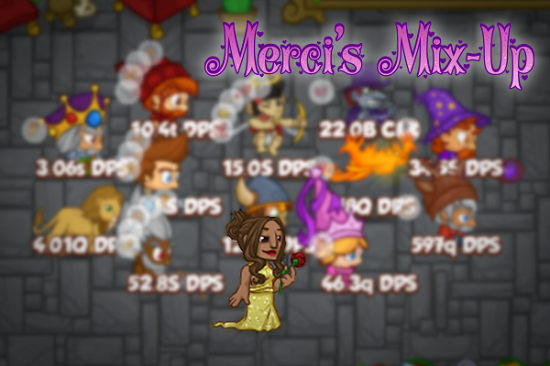 New Weekend Buff: Love is in the Air! Love is in the air. No, seriously, some crazy mage managed to aerosol 'love' and now it's just floating around everywhere, buffing random Crusaders. The following Crusaders will get a buff this weekend starting from today until 12 pm PST on Monday February 13th. New Weekend Buff: The Big Game! Tags: new, buff, weekend, big, game. Time for The Big Game! It's almost the end of a long, never-ending season of football. The Crusaders get a special weekend buff as they dig in for the final quarter. The following Crusaders will get a buff this weekend starting from today until 12 pm PST on Monday February 6th.